You can use this one as a guide for your married life. This is coming from a woman who has been divorced after 8 years of marriage and should be useful n times of need. A relationship always works when both husband and wife invest in it equally. Although there are times when it cannot be maintained, here are some tips for wives to make the marriage work. Seek the best in your partner: There may be lots of things you do like or don’t like in your partner. Try to always focus on the positive side of your partner rather than looking for negative sites. No one is perfect. Have $ex with him: Physical intimacy is important as the emotional one. Make out with him in regular basis and it can keep things steamy between you two. Allow him personal time: Give him the time he needs to spend all by himself. It is better to let him be alone once in a while.Laugh at his jokes: Everyone wants to be funny or act like one even when they aren’t. In case of your husband, try to play along. It will not humiliate him. Complement his manliness: Who doesn’t want to feel little praised every now and then. Then why shouldn’t you complement your husband when you can. Don’t try to dwell much on changing him: You might tried it already, change the things about him you don’t like. May be the way he dress or the way he cuts his hair. But don’t bother, he is not your case study. You like him as he is in the first place. Take responsibility for your action: Stand up and take responsibility of your action. Do not always take credit for all the good things and blame him for the bad things. You should be there when he needs you: You are his partner, in his down time, he will seek you and you should be there to morally support him. That’s how relationship grows and that’s how you two shall grow. Do not start your gossip or complains the moment he comes home: He has come back from work and he always had enough of the day. Let him relax. Ask him how the day was. Then for sure you can talk to him about the things you want. Avoid talking about other man: Do not give him inferiority complex. No matter how much he trust you, he will not feel good about hearing complements about another man from you. It is okay to be vulnerable: There is nothing wrong in opening up about your fears and anxiety to your partner. It will make your bond stronger. You should be transparent as a partner: Do not hesitate to be a open book to him. He should know you better. This will help your partner to trust you more. Allow him to love you as he wants: Everyone doesn’t show love the same way. For some buy flower can be form of love and for some late night text. So let him show the love how he feels it right. Financial issues shouldn’t bug your relationship: Finance is the most common factor of argument in a marriage. Try to not let it come between you two. Seek help from an older woman: A small piece of advice from someone who is experienced can make a huge difference in a successful marriage life. 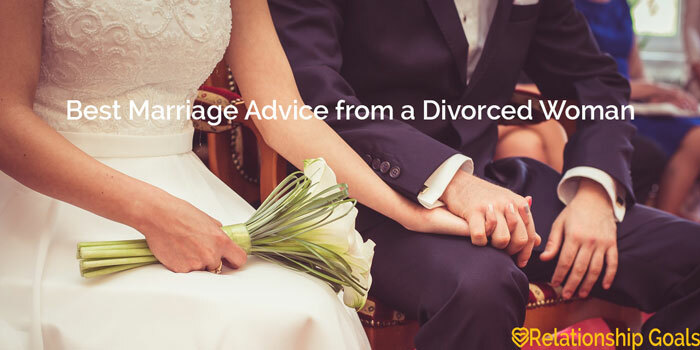 Try to seek help from someone who is in a successful marriage. You should be loving and forgiving: To have a sustainable relationship, you both should be forgiving toward each other. It is very normal to make mistakes and if we cannot forgive, we cannot move forward. It is not that all marriages will be successful even by following these tips. There can be other issues which can affect your marriage. But in broader case, if both partners are willing to make the marriage work then this tips can help you. If we missed something let us know in the comment section.